During my undergrad years at university I was pretty delighted to be majoring on the recorder. It was the instrument that I felt was the most ‘me,’ my teacher Hugh Orr was just great, and I had lots of opportunities to play. But playing this instrument also made me a bit of an outsider. I was regarded by some of my fellow students and professors either as unusual – ‘dancing the to the beat of a different drummer’ was the polite cliché often used – or as a deluded loser. They couldn’t imagine how anyone could make a living playing the instrument. At the time, neither could I, but then none of the student pianists, singers, or anyone else had a clue either. Dream big. People did. You have to, especially when you’re 20. There are thousands of people already doing what you want to do. You have to think you can do anything, otherwise you’d never set foot outside your house. 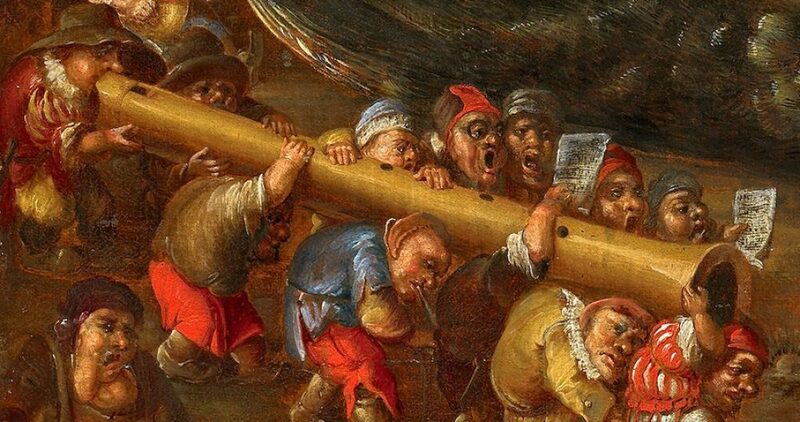 Some people at the Faculty of Music were just plain incredulous that the recorder was permitted as a major instrument. One professor prognosticated that it would never be allowed as a major in the performance degree program at either undergrad or graduate levels. He turned out to be wrong on both counts (sorry, Sir). ‘Never say never’ is very wise advice. There were other people who were more supportive, like the music education professor who told me I was ‘just the right size’ to play the sopranino recorder, whatever that meant, and got me to play solos in her pedagogy demonstrations. It wasn’t the best forum for altering the general perception of the recorder, but at least people heard the instrument sound a lot different than what they remembered from grade school. My fellow students were mostly nice, though I heard the occasional comment about how any ‘real’ musical instrument wouldn’t have hibernated its way through the 19th century, or that if Beethoven and Brahms didn’t write anything for recorder why would you even bother with it, or that the recorder shouldn’t be a major instrument because anyone could play it, and had indeed done so, in grade four. 1) Granted, the 19th century is a big one for many people in the ‘art’ music world and the Western Conservatory tradition of musical education – but the recorder’s repertoire does span the 13th to 18th centuries, and then the 20th century onward. It’s true that the 19th century and the recorder suit each other about as well as Mahatma Ghandi and a hand grenade, but COME ON. The lack of just one century’s repertoire doesn’t mean you have no music worth playing. (2) Like most people who’ve lived in a house with a piano, I can play Chopsticks and The Happy Miller, but I don’t take that to mean that the piano is easy to play or that its repertoire can usually be learned in just a few lessons. Nor do I believe for one second that the ability to play the first prelude from the Well-Tempered Klavier gives me an understanding of the piano similar to that of, say, Alicia de Larrocha. (She can play all the preludes, and the fugues.) I passed a piano proficiency exam to get my Bachelor’s degree, and I accompany students to this day, but I don’t think of myself as a pianist, because I’m not one. Likewise, just because you can still play Go Tell Aunt Rhody like you did in fourth grade, and you still have the very same recorder, doesn’t make you a recorder player. Mind you, as well as all the good recorder playing going on these days, there are also a lot of antics which don’t exactly help the instrument’s image or credibility, and at some point I’ll have to talk about that here. But for now, let me finish this particular rant with a little story to support a previous point. I once had a telephone conversation with a man who told me he’d heard me on the radio that very morning, and how beautiful he thought my playing was. Very kind of him. I thanked him and out of curiosity I asked what he’d heard.